Stay at Road Runner RV Resort and discover all that the Red River Valley has to offer. 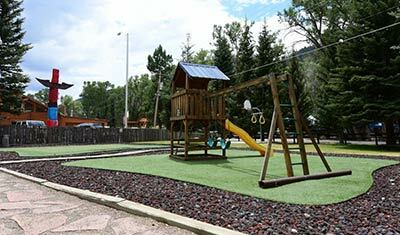 We offer 120 RV sites located among 23 acres of mature trees. Contact us today to book your stay. At Road Runner RV Resort, we take security seriously. The resort itself is a gated community, so only guests have access to the grounds. This keeps traffic to a minimum and makes the whole property lovely and peaceful. Guests are provided an access code, so they can enter and leave the site whenever they like. You'll find everything you need to make the most of your stay at our camp store. We sell ice, souvenirs, fishing supplies, and RV essentials for our guests. You'll find propane, firewood, and Road Runner branded apparel on our shelves. 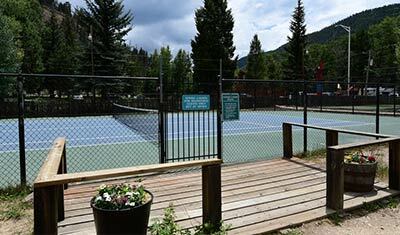 We also provide complimentary tennis rackets, tennis balls, putters, golf balls, basketballs, and more. Don't have enough space in your RV? 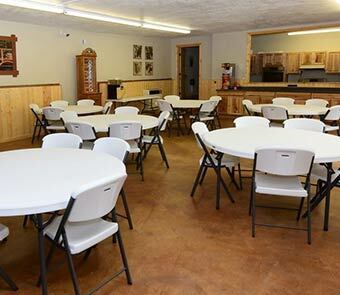 Rent out the Roadhouse, an onsite house that's perfect for groups.